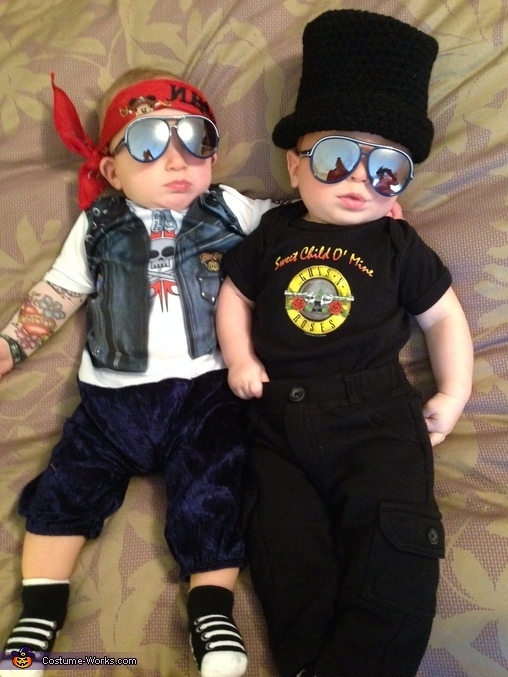 My 6-month-old twin boys Cameron (L) and Carter (R) enjoyed their first Halloween as Axl Rose and Slash from Guns n Roses. My husband and I are huge fans of GNR so thought we'd get creative for the boys' first Halloween. It's an appropriate costume if you think about it – they stay up partying all night and sleep all day, empty bottle after bottle, and disturb the neighbors with a lot of noise!